Often collectively mentioned as Kizhunna Ezhara beach, the twin beaches of Kizhunna and Ezhara lie side by side. Kannur coastal belt has some fine beaches. 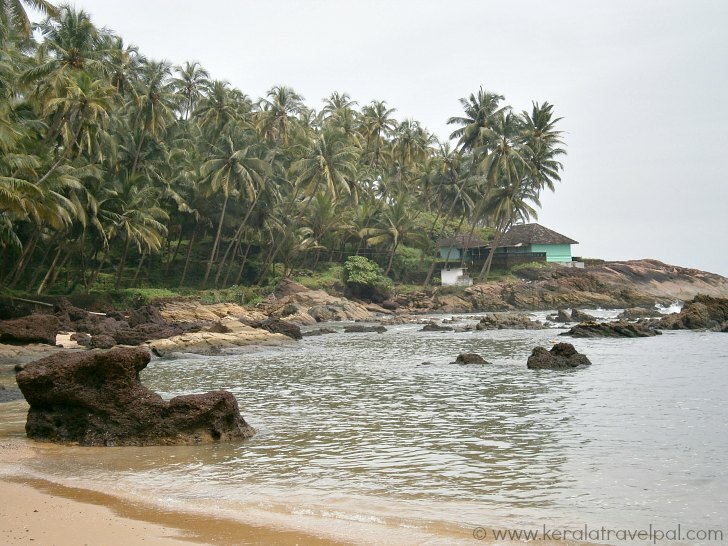 At Kizhunna Ezhara, 12 Kilometers from Kannur town, crimson sands meet gentle waves to form an impressive beach strip. Crimson cliffs and black rocks have teamed up to border the ends of beach crescents. People get absorbed in the protective feel of shallow natural coves, as mild surf keeps on socking sand and rocks at the seaside. 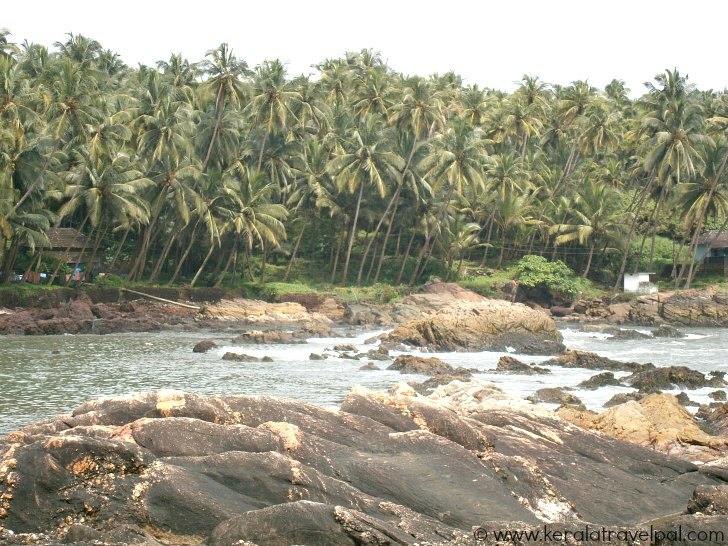 Ezhara, the southern side, has a splendid rocky shore where you will find it hard to take eyes off the coconut grove. The tip of the cliff at the far south is Munambam. In the tip of Munambam is a small building with tiled roof. Its green colour and old style structure blends so well with the surroundings that you may wonder what takes the place of pride in such a serene setting. It is a small mosque. On the other side of hte mosque is the entrance to Munambam. Beaches here get some visitors in the evenings and weekends. Those who seek it from their heart are left alone to enjoy it other times. Day time stillness gets interrupted only by the splashing of waves and the waving of coconut palms. Occasional activities of fishermen of neighbouring villages are nowhere near a distraction. 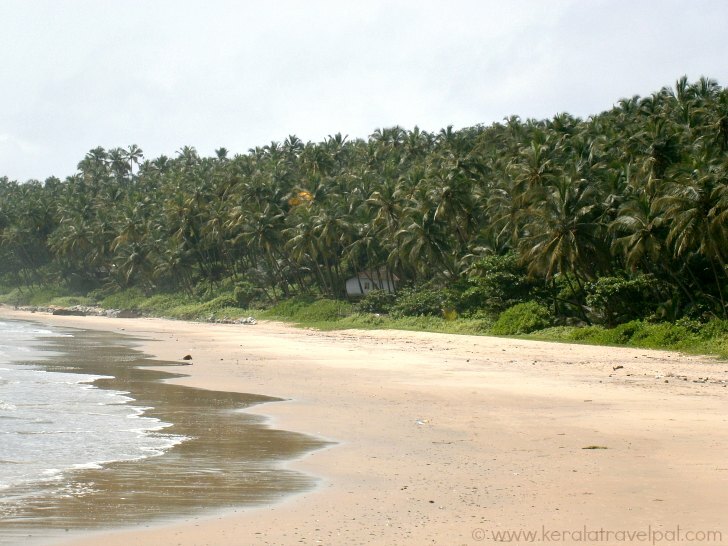 Here you find one of the North Kerala beach strips where peace is in plenty. Beauty of the place is beyond words, especially the Ezhara part of the beach. For those who feel tempted for a few days of true bliss, there is great news. There are home stays right alongside this remote beach strip. It is surprising that one of the best beaches in Kerala lies here almost undiscovered, visited by very few locals and even fewer numbers of overseas travelers. Rustic setting, while appealing to many, also limits the range of possible activities. Those contend with swimming, sun bathing, beach and village strolls and general relaxing, find Kizunna Ezhara fulfilling. If you are craving for more activities, there is plenty to see and do in and around Kannur town. Your Kizhunna Ezhara beach holidays can very well be tailored to include shopping as well as visits to temples and other tourist spots. The best places to stay is of course, small beach side home stays. There are only a few homestays, so advance booking may be necessary. There are no major resorts or hotels near the beach or even in the broader Kadalai-Thottada-Kizhunna-Ezhara coastal belt. However, there is no dearth of accommodations in the nearby major town of Kannur. Lodges, hotels and resorts cater budget to luxury choices. Kannur is just 11 kilometres away from the beach. From Kannur, Kizhunna Ezhara can be accessed by taxi or auto-rickshaw in well less than an hour. If you are just visiting the beach for a few hours, make arrangements for your return trip to town in advance because it is hard to find hire vehicles anywhere near the beach. There are multiple entrances to the beach. The best part to enter in is ezhara, down the cliff. If you happened to drive to the cliff top, better to enjoy the views from there and then drive to the entry point below the cliff. Munambam is also worth visiting, if you have time. The narrow coastal roads are confusing. The best thing to do is ask the locals. Food Options : Several restaurants in Kannur town. Accommodation Options : A few homestays near the beach. Hotels, lodges and homestays at Kannur. Nearby Attractions : Thalasseri fort, Arakkal Museum, beaches of Kadalai, Thottada and Meenkunnu, Mappila bay, Payyambalam beach, Kannur town( shpopping & food), Dharmadam Island, Andalur Kaavu, Muzhappilangad drive-in-beach, Parassinikkadavu (Temple, backwaters, Snake Park and Vismaya Theme Park) and Sea View Park.